We have many loving families waiting for open adoptions. If you are pregnant and considering adoption as an alternative for your child please consider one of our families. Before we share our story, we want to first say thank you. Thank you for making such a difficult decision about what is best for your child and thank you for considering us as parents. While we cannot pretend to know all the feelings you are have at this time, we already know that you are a selfless, kind person, who is putting the needs of your child above all else. We met more than 16 years ago and have been married for almost 13 years. One of the first things that attracted us to one another is that we both wanted to be parents and saw one another as being a great mom and dad. After a roller coaster ride trying to have a child biologically, we both felt that being parents was much more important than bearing children, so we turned to adoption with great excitement. Since the moment we made the decision to adopt, we have both felt that it was always the right thing for us. In 2011, we got the life-changing call that brought our daughter, Lianne Elizabeth, into our lives. Thanks to the amazing support of Adoption Covenant, and the selfless acts of Lianne’s first mom, we are parents today. Lianne is now four years old; she loves all kinds of art, wants to be a doctor when she grows up, and gives regular check-ups to our cat, Frieda. She is excited to be a big sister and we know she will be a wonderful one! We are in regular contact with Lianne’s first mom, who is a very important and special person in our lives. If you are willing, we would welcome an open adoption relationship with you as well – you are so important to us! We have lived in Washington, DC for 20 years and it’s a fantastic city to raise kids – lots of amazing museums, a world-class zoo, and great schools. Julie works doing fundraising and marketing for the school where Lianne goes, and Bill is the head of communications for a healthcare association. We love cooking, books, photography, time with friends and family, and travel. Nothing brings us as much joy as being parents, though, and we are so ready to welcome our next child! We are committed to providing both of our children with lives full of love, learning, family and friends, and joyful life experiences. We will do everything we can to make sure they are able to make their own dreams come true and we will do all we can to honor you, our child’s first parent, in all we do. We appreciate you taking the time to meet our family. Jeff and I met in 2006 and, after falling in love, we married in April of 2007. We enjoyed being a family of two! We had fun spending time with family and friends, playing games, and going on vacation. We began talking about becoming a family of three a couple years after we married. Adoption has always been our first choice and we began looking into our options. We were at a Labor Day cookout in 2009 when Casie’s mom called with news. A family friend had a friend who was looking to place her baby for adoption and they all felt like we were the perfect fit. Three weeks later, we traveled to Nebraska to welcome Wesley into our family. He and his birthmother did great! And we were blessed to take him home from the hospital. We cannot imagine life without Wesley! Our family motto is “We can make it fun and we can make it work.” We believe in this motto and live by it daily. We love to laugh and see the bright side of every situation. Jeff has been a teacher for 8 years. He taught 5th grade reading and 8th grade science for several years but now teaches high school technology. Jeff enjoys teaching technology because it includes computer programming, video game design, and that special moment when a kid “just gets it.” Jeff enjoys sponsoring the high school game club, which is currently working on a fundraiser for Children’s Miracle Network. Jeff loves cooking, playing video games, and spending time with Casie and Wesley. Casie has been a nurse for 12 years and is currently serving as the director of a public health department. She enjoys the challenges and rewards of working in public health but enjoys the patients most of all. In her spare time, Casie loves spending time with Jeff and Wesley, quilting, knitting, and crocheting. We live across the street from Jeff’s parents, aunt and uncle, and cousins. And another cousin lives next door to us. We have fun hanging out on the driveway on warm nights with family or gathering together for dinner, even on the spur of the moment. Wesley loves to walk across the street to hang out with his Grandma and Grandpa. Our family attends church and Jesus is a very important part of our lives. We want to make this world a better place through kindness and generosity. We love our life but now we all want to be a family of four. We cannot wait to partner with you on this journey. We are praying for you and your sweet baby and thank you for considering our family. Our promise is to always love and provide a strong stable home. We are pretty stinking excited about another opportunity to grow our family. It takes selfless, loving people such as yourself to make such and exciting thing possible. Thank You! And thank you for reading a bit about us.... We are a fun loving energetic family. Our little boy Cade changed our lives forever two years ago. its the best thing that has happened to us. Cade is an energetic sweetheart who has taught us so much...and continues to daily. His precious birth-mom (to whom we were matched for closed adoption and it morphing into much more) is just the best. She has done such a great job of explaining to us a bit about what its like to be on your side of the journey. Hats off to you!!! Easton works in the oil & gas industry & Hope (me) is a stay at home mom. It has always been the desire of my heart to be a stay at home mom and I'm so thankful Easton & I can live that reality. We will have been married for 5 years this year, whoo-hoo!!! And we're looking forward to many many more... We all love to hangout at home with our three pooches as well as travel & enjoy whatever it is life has to offer. We have an unbelievable group of friends & family and we are ALL looking forward to another baby blessing. Hi! We are Carlos and Sheila. We deeply appreciate you choosing to read a little about our story. We admire your love and courage in considering finding a family for your baby through adoption. We met almost 13 years ago, during our last year of Engineering School, and have been married for more than 10 years. The profound desire to become parents and the impossibility to conceive, took us to adoption. Carlos works in the manufacturing industry as a Senior Operations Manager for a multinational company, while Sheila works as a Business Improvement Manager in the health insurance industry. We both enjoy: spending time outdoors, especially at the beach (we live nearby! ); living an active and healthy life through exercising and playing sports; traveling, to get to know the world we live in; but most of all, spending time with family (we have an 11 yrs old niece and an 8 yrs old nephew), friend and our 3 yrs old Boxer, Wisky (named after the place Carlos fell in love with Sheila… or the other way around!). We live in a two-story, three bedroom home that we bought 4 years ago. It is located in a small gated community with lots of children nearby. The house has a patio with a pool and the community, a playground for children, as well as basketball and tennis courts. It is a small beautiful city with great schools nearby. We still may not know which school will our son or daughter attend or which sport will he/she play (if any), but we do know we want the blessing of sharing our love with this child and have the responsibility of taking care of him/her; inculcate our values, and walk with him/her through the right path in life… watch him/her grow to conquer his/her dreams. Thank you so much for taking this time to read through. May God bless you and guide you through your decision. Hello, we are Richard and Cathy, and we feel so blessed that you are reading our letter. We have a lively home that we share with our three dogs. We have been married a long time and are excited to be adding a two legged edition to our family. We know this is such a challenging time for you, and we want you to know that our heart and prayers are with you as you begin the process of choosing a family for your child. So now a little bit about us, we enjoy spending time with our family and friends. Holidays are always a fun filled affair with lot of food and laughter. Richard’s family is Italian and there is always a lot of food. Cathy has been adopted as an honorary Italian now that she can also make many of their family’s dishes. Richard’s family is originally from New York and moved to Texas when he was in grade school. He comes from a very close-knit family full of love and laughter. He was blessed to be raised with his grandparents as part of his immediate household and was extremely close to them through his life. Cathy was born in Germany where her American father met her mother when he was stationed there. Though Cathy’s mother passed away when she was very young, her father had a lot of help raising her from his parents. She felt like she hit the jackpot when her father married her step-mom who was kind and loving and an important part of her life to this day. We were both very active in school playing just about every sport you could imagine. But athletics wasn’t our only passion, we both love the arts. Richard is a wonderful artist who studied art in college before switching to EMT studies. Cathy took a theater scholarship instead of a track scholarship after performing in a show her junior year. Cathy is currently a theater arts teacher and Richard is a retail store manager. The current loves of their lives are their dogs; Angel, Tyson and Goldie. They are our foster puppies that we fell in love with when we were fostering. We are considered foster failures because we kept them. . . . all of them. Cathy is no longer allowed to go to Pets-mart on adoption days. You have probably guessed it by now, they are a little spoiled. They are also excited at the prospect of a sibling who might also feed them scraps of food they are not supposed to have. Thank you for taking the time to read a little bit about us. We are so excited to be considered and we want you to know that are thoughts and prayers are with you as you go through this process. Hi! We are Kevin and Kristi and we as so grateful that you have taken the time to read about us and our family. We know this is a difficult time as a birth mother and want you to know that we have been praying for you long before even getting to meet you. We met in college in September 2001 and were married in March 2003. Our adoption journey began almost five years ago. Shortly after we got married, we were eager to start a family but conceiving a child just wasn’t in the plan for us. After almost two years into the adoption process and time spent hoping, waiting and praying, we had the blessing of adopting our first son Caleb who was born in 2012. Caleb is a spunky two and a half year old little boy who keeps his parents hopping every day. Caleb enjoys swimming and gymnastics and playing with all of his cars. Caleb has a smile that can melt the heart of anyone he comes into contact with. In addition, we have two rescue babies that we have adopted over the years. Freckles is an 11 year-old Catahoula mix and Harley is an 8 year-old Lab / German Shepard mix. We live in North Texas in a two-story, four bedroom home that we just moved into in May 2014. We live in a small neighborhood with tons of families, a community pool and lake, and excellent schools. With both of us being only children, we are very close to our parents. Kristi’s parents are just 15 minutes from us and Kevin’s parents are just a short three hour drive away. We enjoy being able to share our lives with many family and friends who were overjoyed when we brought Caleb home and eagerly look forward to the day we bring our daughter home. Kevin is an Engineer working in the oil and gas business. After spending two years teaching in public schools, an opportunity presented itself for a position in the oil and gas business. Kevin subsequently completed a Master’s Degree in Mechanical Engineering and has enjoyed all the benefits and excitement his new position has brought. After spending almost 10 years in the financial industry, we made a big family decision and Kristi became a full-time stay at home mom in June 2013. It has been a special privilege to be able to stay home and raise our son. We have an active family that enjoys going on vacation, spending time with family and friends, attending sporting and cultural events, and being involved in our community. We love being parents and look forward to continuing to grow our family through adoption. We believe that with our faith in God, our strong and stable marriage and our experience raising our son, we will be able to provide the loving home you seek for your child. We look forward to meeting you and walking in this journey with you. Hello and thank you so much for taking the time to read our story! A little over 10 years ago we were states apart, on two different journeys. Alex was starting his second year of college at a small Iowa college, juggling homework and football practice while Andrea’s college graduation date at Texas Tech was only months away. Hours a day were spent searching for jobs and filling out job applications as the “what am I going to do after college” thought set in. Andrea found a job in the DFW area and moved after graduation and Alex continued going to school in Iowa. Despite being in two different stages of our lives, being miles apart, with limited ways of communication, we became good friends. Chatting daily, we continued to learn more about each other and the many things we had in common like sports, music and traveling but it wasn’t just our hobbies that helped us maintain a good friendship. We knew we could count on each for help and support or sometimes just to talk after a long day. We knew that even being miles away, we could still be there for each other. It was that friendship that led us to the decision to meet face to face to see where our relationship might go. Alex was kind enough to fly to Texas to meet Andrea and the visit was a success. It was after that weekend we officially began our relationship as a couple. Flying back and forth, once a month to see each other for over a year was tough at times but we stuck with it and put in the effort to build our relationship. That was in 2006 and in 2007 Andrea relocated to Iowa for a short period of time so Alex could complete his degree. In 2009, Alex was offered the only job he had ever wanted. We were Texas bound and have been here ever since. We married in 2011 and it’s been an exciting journey since day one. We both work full time, with different schedules, yet always spend time with each other. Some days are spent relaxing in front of the TV and snuggling with our Presa Canarios, Thes and Griffy, watching a good movie or finding a new series to watch on Netflix. Other days we’re off to the Hill Country or the Midwest to visit family and friends for a weekend full of swimming, fishing and barbecues. At least once a year we like to take a family trip to the beach or find a nice cabin and enjoy the outdoors. If we’re not traveling, the metroplex has plenty of activities we enjoy as well; professional baseball, basketball, theme parks and museums, to name a few. Did we mention how awesome our families are? Both of our families always make time to come visit, usually once a month and around the holidays if we’re unable to travel due to work schedules. Family means so much to us and everyone always does their part visiting and keeping in touch. Our families are beyond excited. Andrea is an only child so to say her parents are thrilled to become grandparents is an understatement. We’re one of 3 couples in our close circle of friends who have chosen adoption and we couldn’t ask for better friends to share our experience with. The amount of support everyone shows is incredible and comforting. We have a loving home, have established a strong foundation as a couple and are extremely excited about becoming new parents and welcoming our first child. 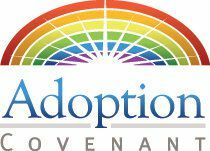 You have made a selfless decision and have chosen adoption for your child and we sincerely thank you from the bottom of our hearts for considering our family. First of all, thank you for taking the time to read about us. There just aren't words to describe the strength that you have and the love that you have for your child. We admire your courage. We would like to tell you a little bit about ourselves. We met in 2009 on a blind date and married the next year. We immediately started trying to have a family and encountered some challenges and major heartbreak. We were finally blessed with our first son in 2013 and have been trying to have another baby for the past 2 years. We always knew adoption was an option, but recently we felt a strong pull to stop fertility treatments and move to adoption. It was very clear for us that this was the road we needed to be on. We are a family-oriented, fun-loving family of 3, hoping to make it 4 soon! Our home is filled with love and lots of laughter. Most of our days revolve around our 3-year-old son, Reid. We love to take him to parks and museums, play in our backyard and ride bikes around our neighborhood lake. We do have the occasional date night, but we love our family time the most. We cannot wait to have another child to add to our family fun! Byron is a sales manager for a large forklift company and I am a stay-at-home-mom. It is a dream to be able to spend the days with our son. He also attends a Methodist preschool two days a week and loves it! He brings joy and makes us laugh every day, even when he is acting like a threenager! We are raising him to be a good person, who cares about others and is kind to everyone. We know that these traits will come in handy when he is a big brother! Thank you so much for reading about our family. Should you choose us to adopt your baby, we will never forget that you are his or her first mother. We promise that we will love and protect your child in the exact same way that we love and protect Reid. Always and forever. Thank you again for the opportunity and we hope that you will chose us to love your baby forever. We are Vicky and Jason. First of all, we want you to know that words cannot express how honored we are you would consider us as adoptive parents. We know this is a huge decision and understand it may be a difficult time in your life. We want you to realize what a blessing you and your child could be in our life as well as the lives of other possible families. We are hopeful and gracious you are taking the time to read about us and make this important decision. Jason and I were both born and raised in the Amarillo area. Although we lived in the same city, we did not know one another until about four years ago. After we found one another, we have been inseparable since. Jason has children from a previous marriage and is a wonderful and loving father. His children are teens and are in our lives on a regular basis. I have never had children and am unable to have any naturally. Although I love our family, I want to experience having a child from the infant stage with my husband Jason. Adoption is the perfect way for Jason and I to experience this miracle together. We enjoy spending as much time together as possible, and can't wait to enjoy a baby together as well. Jason and I live in a county setting in a new four bedroom home. We have a huge yard and plenty of room to play and explore. Both of us were raised to have close family bonds. Jason and I have great relationships with both sets of our parents as well as our siblings. We are both working professionals at this time. Jason is a successful department head for a prominent company. Currently, I am in the banking industry until I can become a stay at home mom. Although we are both successful in business we can't wait to come home and spend time together. We want to thank you for taking the time to learn about us. We have a lot to offer a child: fun, laughter, a good home, a huge family, and tons of love. We hope you will ask any questions you may have about us, and hope we will be a good fit for the decision you are making. We are Caleb and Sarah and we would like to thank you for taking the time to learn about our family. Your bravery and selflessness are inspiring and we want you to know that we have been praying for you. We know that this is not an easy decision and we admire you for having the courage to do what is best for your child.